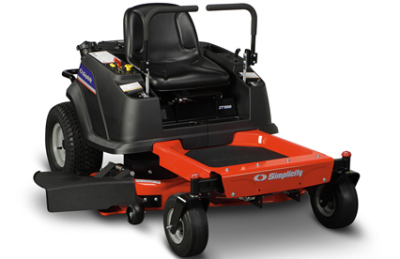 If you need to conquer the twists and turns of your yard, consider a Snapper zero turn mower. There;s no better way to mow around trees and landscaping. Choose a smaller 42-inch model that slips thru gates and tight spots, or go all the way to a commerical-powered, wider 52- or 61-incl cut, that makes quick work out of big yards. Free Floating™ Mower Deck—The secret to getting a beautiful looking lawn is the Simplicity Free Floating™ Mower Deck with full-width rollers. This exclusive Simplicity mower deck features infinite height-of-cut control, freedom to float up or down at the rear and to pivot with the front axle. You can follow every ground contour for a clean, smooth and precise cut through the entire yard and not to mention create ball-park style striping effect. Whether you manage a fleet and a crew of lawn professionals or you're a discriminating home owner with expansive acreage, a Ferris Mower will remind you why you love it evey time you start it up.